Το 1986 οι Avenger (μετά από πέντε demos, ένα ep κι έναν "ολοκληρωμένο" δίσκο) μετονομάζονται σε Rage. Την ίδια χρονιά κυκλοφόρησαν το "Reign of Fear" και την επόμενη το album "Execution Guaranteed". Στην συνέχεια ο Peter "Peavy" Wagner αλλάζει όλη την μπάντα. Έρχονται ο κιθαρίστας Manni Schmidt και ο Έλληνας drummer Chris Efthimiadis. Ως τρίο κυκλοφορούν πέντε δίσκους, αρχής γενομένης από το "Perfect Man". (Το επόμενο -"Secrets in a Weird World"- είναι το πλέον αγαπημένο μου από την Γερμανική μπάντα.) Η ίδια σύνθεση είναι εδώ και πάλι μαζί. Όχι πλέον ως Rage, αλλά ως Refuge. Καρπός της επανένωσης είναι ο δίσκος "Solitary Men" που κυκλοφόρησε χθες. Δελτίο τύπου: «Once upon a time, there were three young rockers, that were meant to write Heavy Metal History. 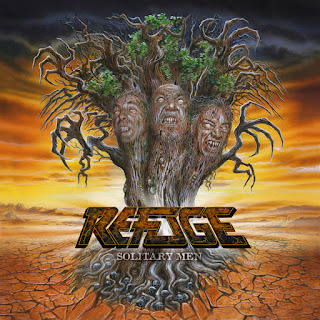 Peavy Wagner, Manni Schmidt & Christos Efthimiadis released 5 albums in one of the most successful line ups of their former Band RAGE and set the boundaries for a name that is still successful. After a long period during which they had not much contact, the three guys met again in 2014 and decided to play a secret show in their German hometown Herne under the Name “Tres Hombres”. The show was never promoted, apart from mouth to mouth and Facebook PR. As a result, this show became a real insider tip and more than 1200 followers found their way to that happening, at this late summer evening in 2014. 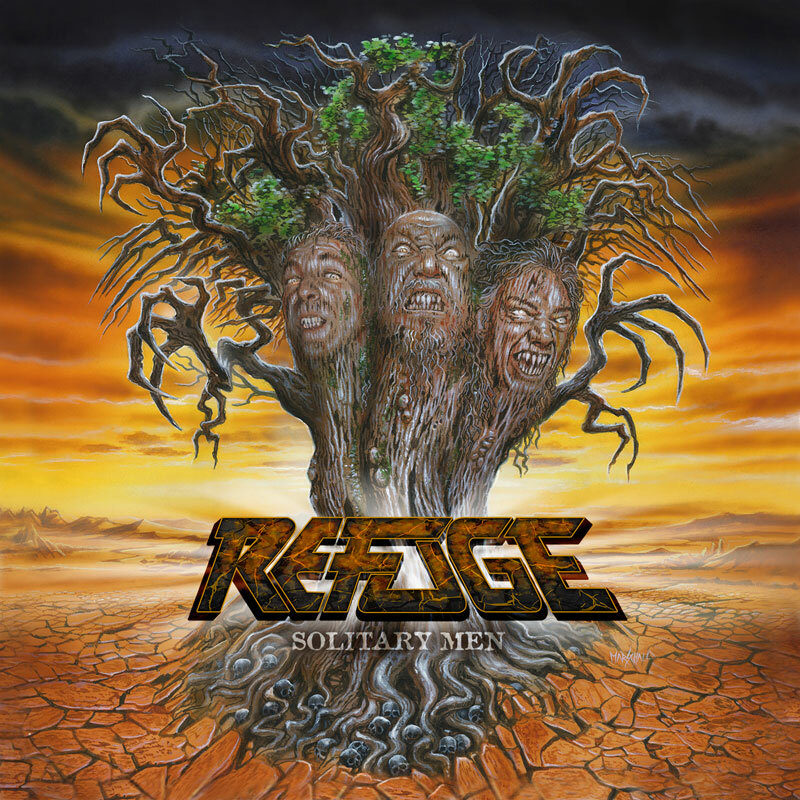 The band performed all their hits in the original line up and enjoyed every second of that gig, getting hungry for more - the idea of "REFUGE" was born. For a start, REFUGE played a couple of festival shows all throughout Europe in summer 2015 that were hugely successful. The audiences’ reactions to the RAGE-songs of 1988 – 1993 performed by the original line-up at that time were truly overwhelming and have exceeded all expectations. So more shows were played in 2016, including three concerts in Japan (Tokyo, Nagoya and Osaka), exactly 20 years after they played their last show in this line-up – also in Japan! Video: "The Man In The Ivory Tower"